Before I leave the needle/aging subject, I did dig a little (for you all) for a natural alternative to Botox. 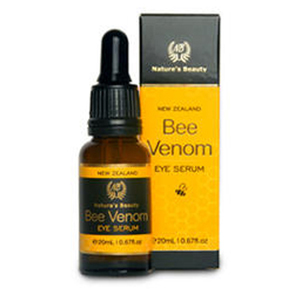 Retailed at A Beautiful World, I hear from reliable sources that the New Zealand Bee Venom, in particular Bee Venom Eye Serum and Bee Venom Mask, is THE answer. 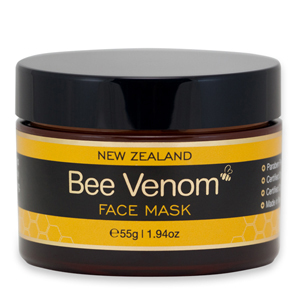 Blended with skin loving ingredients such as Manuka honey and avocado oil to hydrate and smooth plus natural collagen to pump up the skin. The eye serum and mask work as the perfect combination to tone and tighten skin, reducing fine line with no sign of a needle. Of course, I have one of each to give away to 2 lucky readers. All you have to do to enter this competition is email WIN@abeautifulworld.co.uk before Wednesday 6th November to be entered into the prize draw. abeautifulworld.co.uk brings you the world’s best-kept secrets in beauty. sounds so special love to try. I’ve heard so many wondeerful things about this. Apparently, its the secret of the stars. looks the ‘bees’ knees to me!